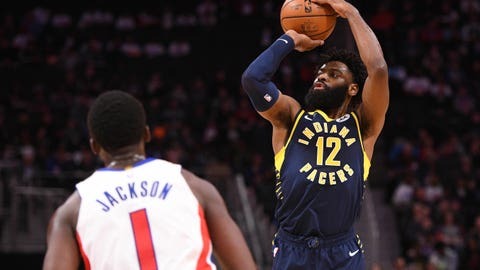 Tyreke Evans struggled against the Pistons, scoring just 6 points. DETROIT — Blake Griffin made it through almost the whole season without a significant injury. Indiana closed the third quarter with nine straight points, and Doug McDermott‘s 3-pointer gave the Pacers a 78-62 lead.